After having an exhausting few weeks of holiday celebrations and confusing work schedules I can honestly say it’s a bit nice to get back to my regular routine. Sadly, that means I have to be here in the office instead of working up some awesome crochet patterns, but I guess we all know how that goes. As much as we want to, crochet can wait until we get home. Last week on New Year’s Eve we asked you “What is your yarn-related New Year’s Resolutions?” and we received a lot of great answers. Mine, along with others, is to finish the projects that I start before beginning new ones. I just get so excited! Contest closes January 7, 2013 at 11:59p CST. I would love to learn the cable stitch. I am trying my hardest to learn Irish crochet and Freeform crochet! There is not much out there on how to do it but wow is it LOVELY!!!! I want to learn the camel stitch. I would love to make a cardi w/ that stitch! I’m still a relatively new crocheter (less than 1 year). I’d like to learn the Tunisan stitch. I would love to learn the crocodile stitch and I think I would make a purse. I want to learn the crocodile stitch as I am eager to make baby booties! 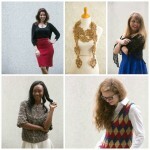 They look so fabulous in all the different colors! I want to learn Irish Lace. I would like to learn stitches I have not yet learned, like the camel, bullion, and cable stitches. Not to make anything specific but to open the world of possible items I could make. I would like to learn the Tunisian stitch. I have seen some great patterns but have been reluctant to start because I don’t’ know the stitch. I would like to learn the cable stitch. If I learned that I would make everything and anything!!!! I would like to learn the crocodile stitch. 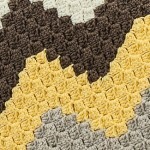 I’d love to learn the crocodile stitch and make a couple really awesome blankets for Christmas presents! I’d love to learn the Tunisian stitch & the broomstick or hairpin lace. I would like to learn the crocodile stitch. It just looks so cool! I would love to learn Irish Lace. I woild like to learn he bromstick stich. My mothermade me a bed spread using this stitch years ago. I want to learn how to crochet a pearl stitch. I would like to learn the crocodile stitch. I think it is very pretty. I would love to make a shawl or wrap using that stitch. I have been crocheting for many years. This year I plan to learn to knit. 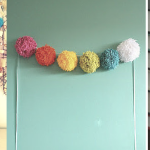 I would love to learn how to do broomstick lace! I’m just starting and only know the basics, so I want to learn them all!! Clone knots! 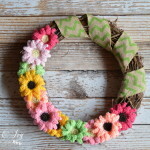 I am trying my first one now and would love to incorporate into bracelets, necklaces, bead work, etc. I would love to learn Tunisian Crochet and I also want to improve my knitting skills by learning to knit using DPNs. I want to learn the crocodile stitch and Tunisian crochet. I’m hoping for a busy year of firsts. I’m just learning to crochet. I would like to learn more of the basic stitches, like the double, half-double and triple crochet. I want to make my kids an iTouch case/holder if I can ever figure out how to do it! I would like to learn the crocodile stitch…I saw a pair of baby booties and hat made with it and think they would.make a great gift for a new grandbaby that will be here in July. There’s a brioche stitch sweater pattern in a vintage book that has been calling out to me for a few years now. This may be the year. I would love to learn Tunisian crochet and I would really like to make myself a cardigan. I’d like to learn Tunisian crochet. I’ve seen so many pretty things in tunisian. For crochet I really want to learn Tunisian. I have also decided to learn to knit so, any and all knitting stiches!! Any!! I have only been crocheting about a month and am still doing practice things. I think I am about ready to tackle triple crochet!!! I love crocheting!! I would like to learn to knit!! Since i only know basic stitches and am no longer working, i have the time to learn some new stiches. I can’t wait to start teaching myself some new stiches and start making some different projects. Maybe learn how to make Hats and Gloves to go along with the scarves I make to donate to the needy. I want to learn to do the CROCODILE STITCH. It can’t be that hard; I just need to sit down and learn it! I need to do this because I have collected several patterns during 2012 that use this stitch, from baby booties to a Christmas tree! I would like to learn the Bullion stitch and the Crocodile stitch. I would like to learn the bullion stitch. I’d love to learn Tunisian crochet! 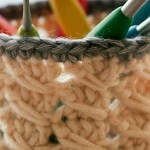 I would love to learn the cable stitch! I started learning to crochet about 3 years ago and love to make blankets and baby things and etc. seems that’s all I seem to do anymore. I would like to be brave enough to learn Tunisian crochet/knitting! Tunisian stitch, camel back, broomstick, hair pin. So many stitches to learn so little time! I would love to master hairpin lace. I want to start tatting. I’ve always loved its look. I would make some inserts for camis. I want to learn how to do more with the slip stitch than I know how to do. I’d love to challenge myself to make a scarf in slip stitch only! Broomstick Lace ~ I’d make scarves! I’m pretty good with knitting, but can only do the basics in crocheting. I find it harder to understand for some reason. So any new stitch I learn would be great, I like to make stuff for little kids. I’d like to learn cable edging for knits. I’d use it for sweaters and scarves. 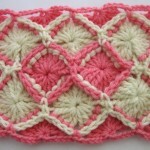 I would love to learn how to do Picot edging. I would like to add it to some crocheted blankets and scarfs. I would like to learn how to Knook. There are 2 stitches I want to learn to make. The first is the star stitch because I have a pattern for an afghan with this stitch and I can’t seem to get it looking right. The second is reverse crochet. Can’t seem to master that one either. I would love to learn a correct bobble and popcorn stitch… Mine seem to turn in to a big jumble.. I want to learn the Tunisian Crochet Knit Stitch. Would probably make a scarf for my first project. I want to learn at least three new stitches. The one I want to really learn is the butterfly stitch and the first project with be a hat & fingerless glove set. I believe it’s called the broomstick lace stitch. I saw a beautiful cardigan in Trellis stitch and would love to learn/try this. I’d love to learn the tunisian stitch and any other stitch that would make a beautiful afghan! It has to be the pineapple stitch… yes, I know there are loads of instructions out there but I have tried many and my attempts come out looking like leaves, like worms, like moth-chewed lace…but never like pineapples! I know the simple Tunisian but would love to learn the other variations of this stitch. I also want to learn the crocodile stitch because I want to use it to give dimension to leaves in an afghan I plan to make…I want to see if the crocodile stitch can be used in the vertical posts of the tunisian stitch because I will be working from a graph I made. It’s always fun to learn something new. I know the basic stitches for chrocheting and knitting, but I have always wanted to learn to tat. The cable stitch would be great. Thanks for the giveaway! uhhh….cable stitch? Never did learn how to do that. I want to learn to do ripple stitches where the edges come out straight!!! Doh!! I would love to learn the crocodile and some of the other stitches, so I could make patterns with more of a variety if stitches. I want to learn the crocodile stitch. The crocodile stitch!! My friend and I went yarn shopping today and i found a shawl made with it. 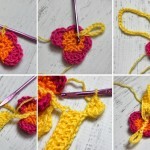 Im more of a knitter than a crocheter,but I think if I learned that stitch, I would want to crochet more often! I would love to learn how to do the stitches to do pineapples. i watched my mother do this stitch in scarves and doileys and wish she was still alive to show me this. i learned so much about crocheting just watching her. I have a few stitches, DIAGONAL SPIKE STITCH, CORNER DIAGONAL BOX STITCH,GRIDDLE STITCH, IRISH CROCHETING, ALIGNED PUFF STITCH, AND CROSSED CLUSTER. I’ve been looking up different stitches. I am getting tired of the regular stitches. The stitches above sound like stitches I would like to try. I want to learn the crocodile stitches. I want to make a bed shawl to give to a nursing home. I would like to learn the cable stitch. I’m still baffled by it! I’ll learn one of these days! I can make pretty much any knitting stitch by following a pattern. I would like to work more on lace techniques and make a shawl or cape. I have wanted to learn BRIOCHE knitting for SO LONG…. I don’t know what it is, but I’m fearful of learning this stitch! My 2013 resolution is to tackle this stitch and learn Kitchener!!!!! 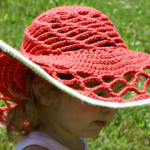 I want to learn how to do overlay crochet. I have seen so many different doilies/coasters made. The varieties are endless with different colors and stitches. My daughter is getting married May 2014 and I would like to make overlay crochet doilies/coasters as favors for her bridal shower. I want to learn Tunisian crochet. My mother used to make afghans and other “heavy” items, but some of the things I have seen are light and lacy. Having a hard tima making the crocodile stitch look like it should; guess I need to practice more. I’ll keep trying! There are so many but the one in paticularis a slanted bullion. My daughter saw the stitch and after much searching we found a name for it. but no instructions on how to make it. I recently mastered the daisy or star stitch and the crocodile stitch a few months ago. The basket weave was fun and fast. Id really like to learn how to cable or aaron. Two – Tunisian & Crocodile both for bags/purses. This is my first time here. I love the name you chose, as it perfectly describes some days of crocheting! Glad I’m not the only one! I want to learn Solomon’s Knot. It looks so graceful and creates an interesting texture.